The long, lazy days of summer are great. They’re the perfect time to stretch out with a good book, play a few games with your family, and enjoy some peace instead of constantly rushing from one place to the next. Unfortunately, it won’t be long before you’ll hear that familiar refrain from the kids: “I’m bored!” You want them to spend time enjoying the weather outside, but sometimes it’s just not enough to keep their attention. These fun summer activities will help keep the kids entertained, from hanging out at the lake or the beach to spending time in your own back yard. Are the kids tired of sitting around? Are they starting to complain about being “too hot” or begging to go back inside to play on their devices? Add some color to their lives with a color war! If you want a wash-off version, chalk bombs are an excellent choice. 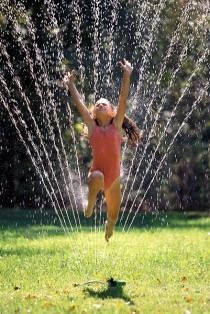 If you don’t mind some permanent color, mix a little paint with water in some cheap water guns, then head outside and spray each other! See how many times you can toss a water balloon back and forth before it breaks. Use the water balloon as the “egg” in an egg and spoon race. Sneak attack! Hide the water balloons until your spouse comes home, or sneak up on a child who has been away with a friend. The novelty will have everyone giggling for hours! Whether the novelty of getting to swim has worn off or you’re simply excited about pool floats sales at the local store, re-purpose those pool noodles! 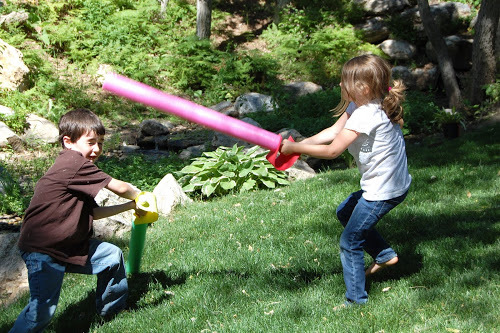 You can create pool noodle ring toss or javelin toss, use your pool noodles as hockey sticks to bat a beach ball back and forth, or turn them into light sabers for a great game that will encourage your children to use their imaginations. Pool noodles can also be arranged creatively to make a great obstacle course. There’s something about bubbles that continues to delight kids of all ages – especially if you get a little creative with them. Lower a hula hoop into a pool full of bubble solution to create huge bubbles; design bubble snakes; make bubble prisms. You can even let your kids make their own bubble wands out of pipe cleaners! Take some time when the kids aren’t awake to write out a list of clues that will lead them to various locations around the house and yard. If you are OK with them running inside and outside, you can include both interchangeably. Make sure that the clues are well-hidden so that they can’t stumble across a clue early! As each clue leads to the next one, the kids will get increasingly excited about the treasure. Remember, the longer the list of clues, the longer it will take them to get to the end. At the end, fill a plastic box (or even a treasure chest) with small goodies. This could also be a great way to announce an upcoming family vacation!